­­­Each day, eleven Americans die from asthma. The death rate for children under 19 years of age has increased by 80% percent since 1980. More females die of asthma than males, with women accounting for 65% of all asthma deaths. African-Americans are three times more likely to die from asthma than Caucasians. If you or your child has asthma, you should take adequate amounts of vitamin D because so much scientific evidence shows it will help. The evidence that vitamin D will help childhood asthma is stronger than for adult asthma, but both adult and childhood asthmatics should take adequate daily doses of vitamin D. Children often respond in several months, but it may take several years for adult asthmatics to respond. It is crucial that asthmatics take high enough doses of vitamin D, as low doses, such as 1,000 or 2,000 IU/day, may not give as strong a treatment effect. In addition, it is important to continue supplementing with vitamin D on an ongoing basis; if you stop, your vitamin D levels will fall, and your asthma may flare up. The most recent clinical trial of vitamin D and asthma, published in the highly respected journal, Chest (Alansari et al, 2017) found vitamin D reduced flare ups of asthma by a whopping 300% in children, while a much larger study found a vitamin D like compound reduced asthma flare up by 74% in children. In adults, another 2017 study (Ali et al, 2017, Ann Allergy Astma Immunol.) found that a vitamin D drug significantly reduced asthma severity and improved tests of lung function. Another 2018 study found vitamin D reduced respiratory events but not until the second year of treatment (Lee 2018 Blood Adv.). Very high doses of vitamin D, i.e. 50,000 IU per day for three months, resulted in significant improvements in asthma patients by the second month (Babar, 2017, Pak J Med Sci). In 2017, a study found asthma exacerbations reduced with long-term vitamin D replacement (Solidoro, 2017, Nutrients). The most respected review in Medicine, the Cochrane meta-analysis (compilation of multiple studies), concluded vitamin D reduced asthma flareups (Jolliffe, 2017, Lancet Respir Med.). Another meta-analysis by Autier, a vocal vitamin D critic, found vitamin D reduced both asthma attacks and respiratory infections (Autier et al, 2017, Lancet Diabetes Endocrinol). As every asthmatic knows, a cold or the flu usually causes asthma to flare up. Anything that reduces the chance of developing a cold or flu will reduce asthmatic symptoms. In 2017, a Cochrane meta-analysis (Martineu et al, 2017, BMJ), which is the strongest proof in medicine, found vitamin D significantly reduced colds and flu. These, and other studies, were positive, despite using inadequate amounts of vitamin D. When one examines studies using adequate doses, they find vitamin D not only improves asthma symptoms, but also reduces the risk of colds and flu. Vitamin D supplement doses are considered adequate when they increase vitamin D levels into the ideal range (40-80 ng/ml; 100-200 nmol/l). For asthmatic children, that dose is 1,000 IU/day for every 25 pounds of body weight. Asthmatic adults usually need between 10,000 IU/day and 15,000 IU/day. However, as when treating any disease with vitamin D, the important number is your vitamin D blood level number. It should be higher than 50 ng/ml. Asthma is a lifelong lung disease that makes it difficult to move air in and out of your lungs. There are tiny tubes, called bronchioles that carry air to and from your lungs by way of your mouth and nose. If you have asthma, these airways can become swollen, clogged with mucus, and tightened by surrounding muscles. When your symptoms get worse, you have an asthma attack or exacerbation. Asthma attacks can sometimes be so bad that you need emergency care.1 You can have an asthma attack if you are exposed to allergens, smoke, extreme air temperatures and air pollution, or if you get sick or develop a respiratory infection. Asthma is treated using medicines that you breathe in (called inhalers) or take as tablets. These help relax the muscles that surround your airways or reduce the swelling of your airways. The common medicines are inhaled steroids (such as Flovent), leukotriene blockers (such as Singulair), and β-agonists (such as Advair). Do not stop your asthma medication when you start taking vitamin D, even if you think you are responding. Asthma medications should be tapered slowly by your physician when it appears you no longer need them. If you have asthma, it’s important that you try to avoid coming into contact with the things that trigger your attacks, such as allergens and smoke. Most of the time, you can manage asthma yourself by using inhalers regularly and avoiding things that trigger your attacks. Three-hundred million people have asthma worldwide. It is the most common long-lasting disease in children.2 In the United States, one out of every 10 people will have asthma at some point in their life. Most of the time, doctors diagnose asthma in children before they turn six years old, but sometimes people are diagnosed with asthma later in life. Around half of all people with asthma will have an asthma attack every year. If you have asthma, these are some of the main symptoms. long-lasting cough, especially at night. very noisy breathing, especially when you exhale. Doctors and scientists don’t yet know the exact causes of asthma. The number of people diagnosed with asthma has increased dramatically since the 1960s. This increase is too big and has happened too quickly, to be caused by genetics alone. So, doctors and scientists think that a change in our diet, behavior and/or environment may cause asthma. Some think that inadequate sun exposure and vitamin D may be one cause of asthma, but we don’t know yet if this is the case. What is the link between vitamin D and asthma? One theory is that vitamin D helps reduce inflammation in your airways caused by asthma. Vitamin D is a nutrient that your body produces when you expose your skin to the sun, and you don’t get enough vitamin D unless you get enough sun exposure or supplement with an adequate dose. Doctors and scientists believe there is a link between vitamin D and asthma because you’re more likely to develop asthma if you live in a city, are obese or are African-American, which are all associated with lower vitamin D levels. These individuals are also more likely to be deficient, or lacking, in vitamin D.
If you have asthma, your airways swell, clog with mucus and tighten because they become inflamed. Inflammation is your body’s response to an injury, infection or irritation. Doctors and scientists are interested in vitamin D because it reduces inflammation, so in theory it may make your airways healthier by building better airways in early childhood, making day-to-day symptoms better for people with asthma and by making it less likely for people with asthma to have an asthma attack. Doctors and scientists are also interested in vitamin D because it makes your immune system smarter, that is vitamin D helps your body make the right number of cells in your immune system that mount defenses to fight off infections. A smarter immune system may reduce inflammation and decrease your chances of developing an infection and a subsequent asthma attack. Scientists are looking into whether getting enough vitamin D during pregnancy can reduce the chances of your child developing asthma. They are also looking at whether children who get enough vitamin D from birth to three years of age have a decreased risk of developing asthma. Recent studies show a strong relationship between vitamin D levels during pregnancy and the child later developing asthma. For asthma treatments, scientists are looking into whether getting enough vitamin D can help make your medicines more effective. They also want to know if getting enough vitamin D can reduce the likelihood of an asthma attack. A study in Canada involving people aged 13 to 69 years found that those with vitamin D levels below 50 nmol/L (20 ng/mL) were 50% more likely to have current asthma than those with levels between 20 and 30 ng/mL. Those with low levels were also twice as likely to have ever had asthma. What is the link between sunlight and asthma? Since solar UVB is the primary source of vitamin D, it is expected that people getting more sunlight would have a reduced risk of asthma. In addition, there may be other effects of sunlight in reducing risk, beyond vitamin D production. Several studies found that people receiving higher amounts of sunlight have lower rates of asthma. A study in the United States found that higher latitude and lower sunlight in winter were linked to higher rates of asthma. This explains why asthma is generally more severe in the winter. A study in Spain found a reduced risk of asthma among children amounting to 6% for each hundred hours of sun per year for six and seven year old children. A study involving six and seven year old children from 10 European countries and 13 to 14 year old children from 13 European countries in the fall and winter found that the highest association with asthma was low sunshine. A study in Turkey found that children with asthma had much lower vitamin D levels than other children and spent less time in the sun. Can getting enough vitamin D during pregnancy and early childhood prevent asthma in children? One study looked at how much vitamin D pregnant mothers got from their diet and then the chances of their child getting asthma. This study found that children whose mothers who got the most vitamin D from their diet during pregnancy were least likely to develop asthma. A second study in the United Kingdom found that taking vitamin D during pregnancy reduced the risk of asthma at age 10. There is no research about whether getting enough vitamin D during early childhood, up to the age of six, can lower the chances of a child developing asthma later in life, but it seems likely. Can vitamin D improve how well asthma medication works? 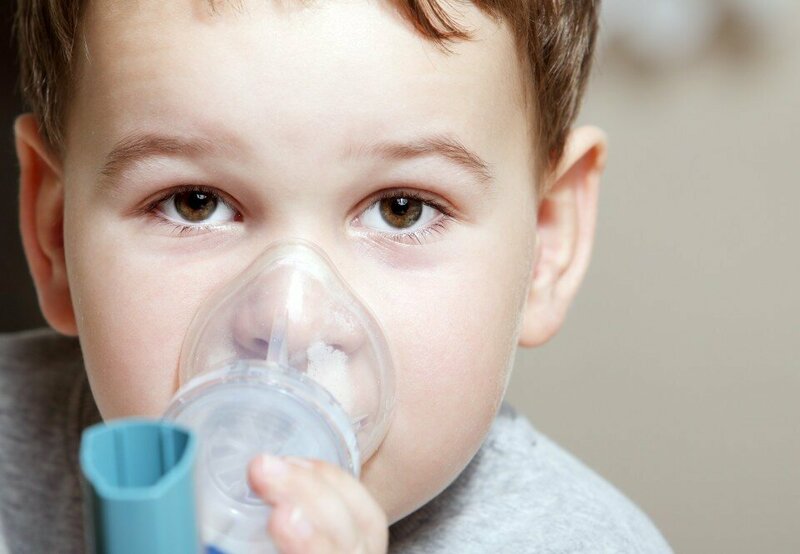 In one study on children with asthma, scientists gave all the children the asthma medication budesonide. Then they gave half the children a dummy pill and the other half 500 IU of vitamin D every day. After 6 months, the children who took vitamin D had fewer asthma attacks than those who took a dummy pill. A study in India with children with moderate to severe bronchial asthma found that taking 60,000 IU of vitamin D3 per month significantly increased peak expiratory flow rate and reduced the requirement of steroids, emergency visits and the number of exacerbations. A vitamin D supplement randomized controlled trial with adults with baseline vitamin D level of 19 ng/mL treated with 100,000 IU once, followed by 4000 IU/d for 28 weeks, had about a 40% lower number of asthma exacerbations. In another study, scientists gave one half of a group of Japanese schoolchildren (aged 6-15) 1,200 IU of vitamin D and the other half a dummy pill every day. Scientists wanted to know if vitamin D could prevent the flu, but they also wanted to know if vitamin D reduced the number of attacks the children with asthma had. The children who took the vitamin D supplement had fewer asthma attacks than the children that took the dummy pill. Another review found that giving children 500 to 2,000 IU/d vitamin D reduced asthma exacerbations by 60%. Not all studies find that vitamin D helps asthma, but most do. Vitamin D is extremely safe. No one has died from vitamin D toxicity in the last 15 years, but more than 45,000 Americans have died from asthma in the last 15 years. Do not stop your asthma medications when starting vitamin D. If you respond to vitamin D, ask your doctor to slowly withdraw your medications, one at a time. The Vitamin D Council recommends that asthmatic children take 1,000 IU of vitamin D a day for every 10 lbs. of their weight. For example, if your child weighs 50 lbs., he or she should take 5,000 IU of vitamin D per day but needs to have a vitamin D level after being on vitamin D for several months. For asthmatic adults, the Vitamin D Council recommends taking 10,000 to 15,000 IU of vitamin D a day. After you have taken vitamin D for two months, have your vitamin D blood level checked to be sure it is higher than 60 ng/ml. For pregnant mothers, the Vitamin D Council recommends at least 10,000 IU of vitamin D a day. Lommatzsch, M. and C.J. Virchow, Severe asthma: definition, diagnosis and treatment. Dtsch Arztebl Int, 2014. 111(50): p. 847-55. Brown, S.D., H.H. Calvert, and A.M. Fitzpatrick, Vitamin D and asthma. Dermatoendocrinol, 2012. 4(2): p. 137-45. Gupta, A., Bush, A., Hawrylowicz, C., et al., Vitamin D and asthma in children. Paediatr Respir Rev, 2012. 13(4): p. 236-43; quiz 243. Niruban, S.J., Alagiakrishnan, K., Beach, J., et al., Association between vitamin D and respiratory outcomes in Canadian adolescents and adults. J Asthma, 2015: p. 1-33. Krstic, G., Asthma prevalence associated with geographical latitude and regional insolation in the United States of America and Australia. PLoS One, 2011. 6(4): p. e18492. Arnedo-Pena, A., García-Marcos, L., Fernández-Espinar, J.F., et al., Sunny hours and variations in the prevalence of asthma in schoolchildren according to the International Study of Asthma and Allergies (ISAAC) Phase III in Spain. Int J Biometeorol, 2011. Arnedo-Pena, A., García-Marcos, L., Bercedo-Sanz, A., et al., Prevalence of asthma symptoms in schoolchildren, and climate in west European countries: an ecologic study. Int J Biometeorol, 2013. 57(5): p. 775-84. Uysalol, M., Mutlu, L.C., Saracoglu, G.V., et al., Childhood asthma and vitamin D deficiency in Turkey: is there cause and effect relationship between them? Ital J Pediatr, 2013. 39: p. 78. Erkkola, M., Kaila, M., Nwaru, B.I., et al., Maternal vitamin D intake during pregnancy is inversely associated with asthma and allergic rhinitis in 5-year-old children. Clin Exp Allergy, 2009. 39(6): p. 875-82. Allan, K.M., Prabhu, N., Craig, L.C., et al., Maternal vitamin D and E intakes during pregnancy are associated with asthma in children. Eur Respir J, 2014. Majak, P., Olszowiec-Chlebna, M., Smejda, K., et al., Vitamin D supplementation in children may prevent asthma exacerbation triggered by acute respiratory infection. J Allergy Clin Immunol, 2011. 127(5): p. 1294-6. Yadav, M. and K. Mittal, Effect of vitamin D supplementation on moderate to severe bronchial asthma. Indian J Pediatr, 2014. 81(7): p. 650-4. Urashima, M., Segawa, T., Okazaki, M.,et al., Randomized trial of vitamin D supplementation to prevent seasonal influenza A in schoolchildren. Am J Clin Nutr, 2010. 91(5): p. 1255-60. 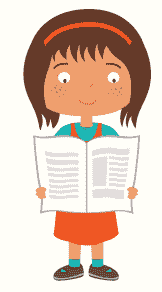 Pojsupap, S., Iliriani, K., Sampaio, T.Z., et al., Efficacy of high-dose vitamin D in pediatric asthma: a systematic review and meta-analysis. J Asthma, 2014: p. 1-9.